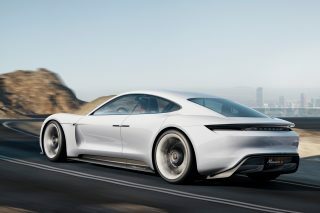 Porsche has launched its latest eighth-generation 911 on the eve of the LA Auto Show, improving on the previous generation’s attributes as well as adding technological touches to the world’s most famous sports car. The new Porsche 911 type 992 now has 450PS (around 444hp), up by 30PS from the previous generation. 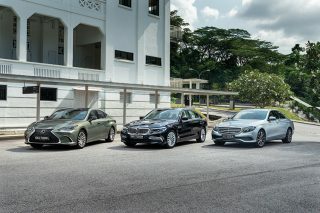 That power comes from a turbocharged flat-six engine, which has seen improvements to its injection process and a new layout for the turbochargers and charge air cooling system for greater performance. 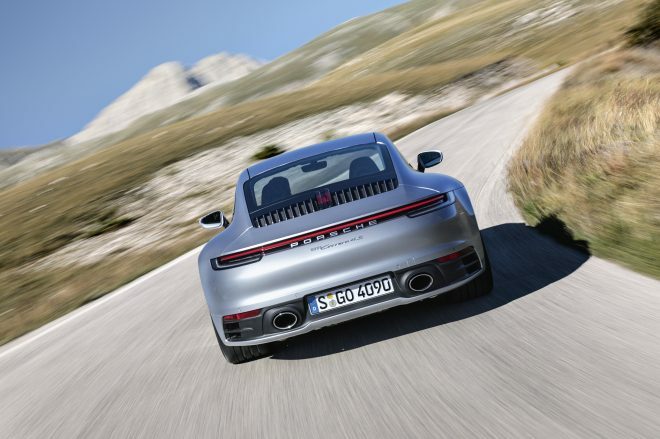 The new Porsche 911 features a rear lightbar and variable-position rear wing. 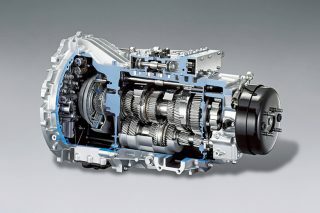 Power from the new 911’s engine is mated to a newly-developed eight-speed dual clutch transmission, which means both the new 911 Carrera S and Carrera 4S now complete the 0-100km/h sprint in under four seconds, beating the previous generation by 0.4 seconds. Porsche says the new rear-drive 911 couple now takes 3.7 seconds for the century sprint, while the all-wheel drive 911 Carrera 4S takes 3.6 seconds, with the optional Sport Chrono Package shaving off a further 0.2 seconds. 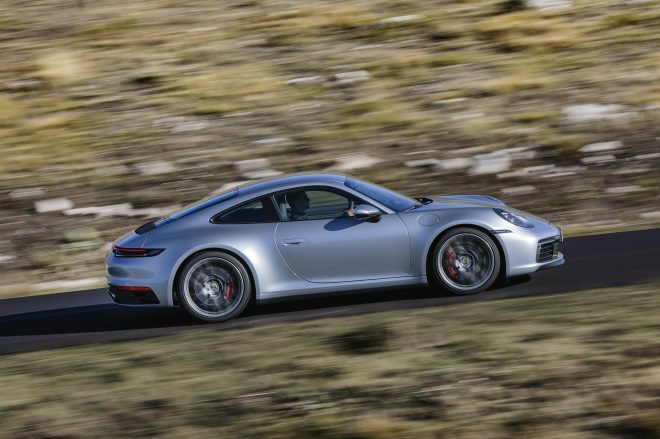 At full chat, the 911 Carrera S will go on to touch 308 km/h, while the 4S will run out of puff at 306 km/h. 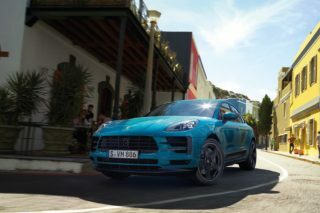 On the outside, electric folding mirrors, a reversing camera and Porsche’s convenience pack – Porsche Entry & Drive – will come standard on Singapore versions. Electric pop-out door handles make for a cleaner look, and new LED headlights meet a bonnet with a pronounced recess, which Porsche says harks back to the design of early generations of 911. All that coalesces into a front which has been widened by 45mm. 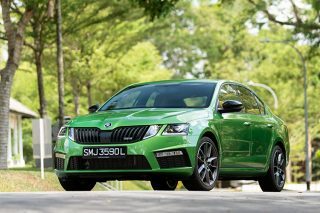 Above the rear wheels sits the wider, variable-position rear spoiler and with keeping in the fashion of the times, is underlined by a full-length light bar. 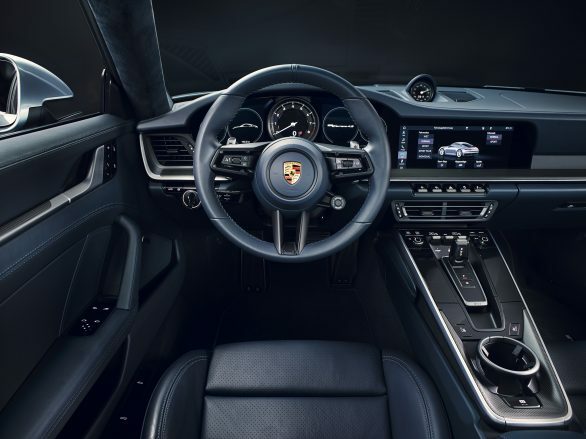 Inside, the new Porsche 911’s dashboard provides more information to drivers with the addition of two thin frameless freeform digital displays flanking the central rev counter. Porsche has upgraded the Porsche Communication Management (PCM) central display to 10.9 inches. The central speedometer is flanked by two digital information screens, with a 10.9 inch infotainment screen dominating the centre stack. 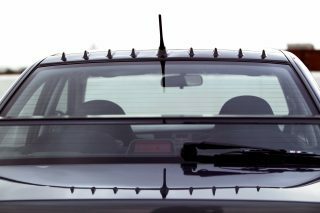 To keep drivers safe after a heavy deluge, rather than spearing off into the treeline, Porsche has developed and included a “Wet” mode in the new 911. 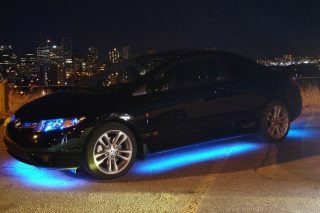 The function detects water on the road and builds a protective cocoon around the driver, preconditioning the control systems and warning the driver, who can activate the mode via a button on the dash. The warning and brake assist system is fitted as standard on the new Porsche 911 and initiates emergency braking if it senses an impending collision with a moving object. 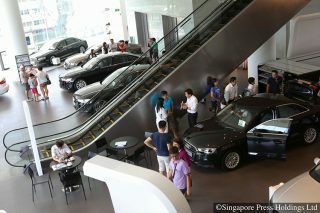 Pricing, fuel consumption and VES band in Singapore will be announced at a later date upon the car’s local certification.